Finding value in the draft is a huge key to success in fantasy baseball. Aside from identifying those bargains, I like to see which players have similar profiles and compare their ADP. If I think two players are similar, but one is a few rounds cheaper, I can go into a draft knowing that I can wait on drafting that player until the other has been picked. I think of it as buying a store brand product rather than the name brand, when the generic is just as good. So today, the first portion of the article contains three middle infield comparisons for you to take in. After that, I list a few additional players who I couldn’t find a mate for, but are good values nonetheless. Seager and Correa are both 24 years old and are highly talented players who made immediate impacts with their bats from the get go. Both have also dealt with injuries in recent seasons – Seager with elbow and hip issues, and Correa with back issues. Due to the loss of playing time the last couple of seasons, I’ve used a 3-year average of stats from 2016-2018, per Fangraphs. Starting with some standard statistics in the table below, Seager and Correa’s output have been similar, with Correa an edge in power and stolen bases, but Seager having an edge in batting average, on-base, and slugging. Overall, the tradeoff is minimal especially considering we are looking at players in their 21 to 23 aged seasons, with some of those seasons being small samples. Moving on to the batter profiles in the next table below, there are even more similarities. Walk rate, strikeout rate, contact rate, and pull rate are all almost identical. The only metric that jumps out is the hard-hit rate, in which Seager has a 6% lead over Correa. While that is a significant difference, it is worth noting that Correa’s 35.6% average hard hit rate is weighed down by his injury plagued 2018 where his hard-hit rate was 28.8%, compared to the upper 30% range the previous two seasons. If fully healthy, I expect Correa’s hard-rate rate to return to the upper 30% range. At the end of the day, I see what is essentially the same player with similar question marks due to injury, except one is going at an ADP of 44 and the other an ADP of 79. I’ll take the discounted Corey Seager all day. Next up, Segura vs Peraza. I used only 2018 stats in this comparison because both players accumulated over 600 plate appearances. Per the tables below, both players possess elite contact rates which result in low strikeout rates. As with a lot of speed-oriented players, the walk rates are quite low – why walk to first when you can sprint? The low walk-rates are somewhat by design as these two players leverage their contact rate to put the ball in play, and their speed to beat out a ground ball. Peraza out-performed Segura by 4 home runs, which is supported by a 9% higher fly ball rate and a 4% higher hard-hit rate. Of course, Peraza’s home park in Cincinnati is a lot more hitter friendly than Segura’s 2018 home park in Seattle. Segura’s new home in Philly is much more hitter friendly, so I think an increase in home runs can be expected for Segura. However, I would temper expectations because of Segura’s career ground ball rate over 50%, and he’s never had a fly ball rate over 30% in his career. In terms of lineup, the Phillies and Reds are both expected to be strong and score a lot of runs in 2019. The risk here lies with track record. Segura has been providing fantasy value in some capacity for the last 5+ seasons, while Peraza is still building his resume with about 2.5 total seasons under his belt. There is also risk in batting order. Segura is assured a spot at the top of the Phillies lineup, and while I believe Peraza will be atop of the Reds’ order in 2019, if he struggles early he may move down in the lineup. A young player does not get the same benefit of the doubt from his manager as a veteran does. All in all, both players project to have solid 2019 seasons with batting averages near .300, 100 runs, 20+ steals, and 10+ home runs. You can draft Peraza for 50 picks cheaper. For the last comp we’ll look at Jonathan Villar vs. Adalberto Mondesi. Before we get into it, it’s worth a note that Mondesi has just half a season of high performance at the MLB level under his belt. We see time and time again that just because a guy hits 14 home runs in 74 games his rookie year, doesn’t mean he’s going to hit 30 in the next year if he plays a full season. Because we lack historical data, projecting rookies is inherently riskier than projecting a 5-year veteran. That said, Villar has been one of the tougher players to project in his own right, as his last three years include one tremendous season, one poor season, and one in between. One reason Mondesi is being drafted so high is he has a high ceiling. The speed is legit, and the pop is well supported from a 43.1% hard hit rate during his rookie campaign. Based on 2018, I’d say a reasonable ceiling is something along the lines of 20 homers, 60 stolen bases, and throw in a .270 average for good measure. It’s hard to ask for much better than that, but that happens to be very close to Villar’s 2016 when he hit 19 homers, stole 62 bases, and batted .285. So, just based on ceiling, these two are close. In terms of floor, Mondesi’s has been well documented. But if you haven’t been keeping up, his 3.8% walk rate and 26.5% K-rate are poor, as is his 67.0% contact rate. The batting average could get ugly quick and without the ability to get on-base via the walk, Mondesi could end up back in the minors for more seasoning. The floor isn’t quite that low with Villar, however his 2017 was pretty abysmal and he ended up losing playing time as a result. So in terms of floor, both players could bottom out. Back to the tables. If you can’t tell already, Villar and Mondesi are both power/speed contributors. In 2018 they produced similar HR and SB numbers, albeit in a different # of games. Additionally, the batting average was close, and Villar edged Mondesi on OBP while Mondesi crushed Villar in SLG. Based on standard metrics, Mondesi’s 2018 is certainly more appealing. In comparing the batter profiles below, I start to see a higher floor for Villar based on a better walk rate and contact rate. That is not all that surprising considering Villar is a 6-year MLB veteran. On the other hand, Mondesi’s hard hit rate of 43.1% and fly ball rate of 37.6% are both indicative that he could reasonably hit 20 home runs, which puts his ceiling above that of Villar’s. To sum up, Villar can provide a safer power/speed combination for your fantasy team at an ADP almost 4 rounds cheaper. However, drafting Villar means you are trading some potential ceiling for that higher floor. If you are chasing a high ceiling in a win or bust strategy, Mondesi is still your guy. But if you have reservations on the small sample size and the plate discipline concerns (like I do), sit tight a few rounds and draft Villar. That’s all for the comparisons, but here are a few more middle infielders who I believe will be good values relative to their ADP. There is injury risk here based on recent seasons and Murphy entering his mid-30s. However Murphy is an established veteran who still shows the ability to hit for elite contact and elite batting average, and calling Coors field as his home will only boost the batting average floor which is already quite high. Add in Murphy’s 25 home run capability and that the counting stats are sure to come playing in Coors and you’ve got yourself a bargain. Much of my concern with Odor in the past has been with his sub – 5% walk rate. In 2018, though not his best season in terms of home runs or stolen bases, Odor walked at a career high 8.0%. I think that is a promising sign. If Odor carries those gains into 2019, he could be a threat to return 30 home runs and 10-15 stolen bases at a very reasonable price. He’s a great upside target late, especially if you can handle the potential drain on batting average. DeJong is a shortstop that could find himself inside the top 10 by season’s end. He has 30 home run potential. In fact, if you annualize his HR/AB from his two seasons over 600 plate appearances, DeJong would reach the 30 HR mark. Add to that DeJong’s projected #2 spot in the batting order, right behind Matt Carpenter and right in front of Paul Goldschmidt, and the counting stat upside is very enticing. This is the deepest I will go today in terms of ADP. Wendle is a late bloomer, who at 28 years old had his first near full season in 2018 with the rays. He hit exactly .300 and showed some power potential with a 37.0% hard hit rate. Though that only translated to 7 home runs in 525 plate appearances, I wouldn’t be surprised if Wendle approached 15 homers in 2019. He is currently slated to bat 3rd for the Rays, behind Kiermaier and Pham, a great spot to rack up RBI. He’s got multi-position eligibility as well which adds to his value, making him a good target in deeper leagues. That’s all for this week. Thanks for reading and feel free to comment below. 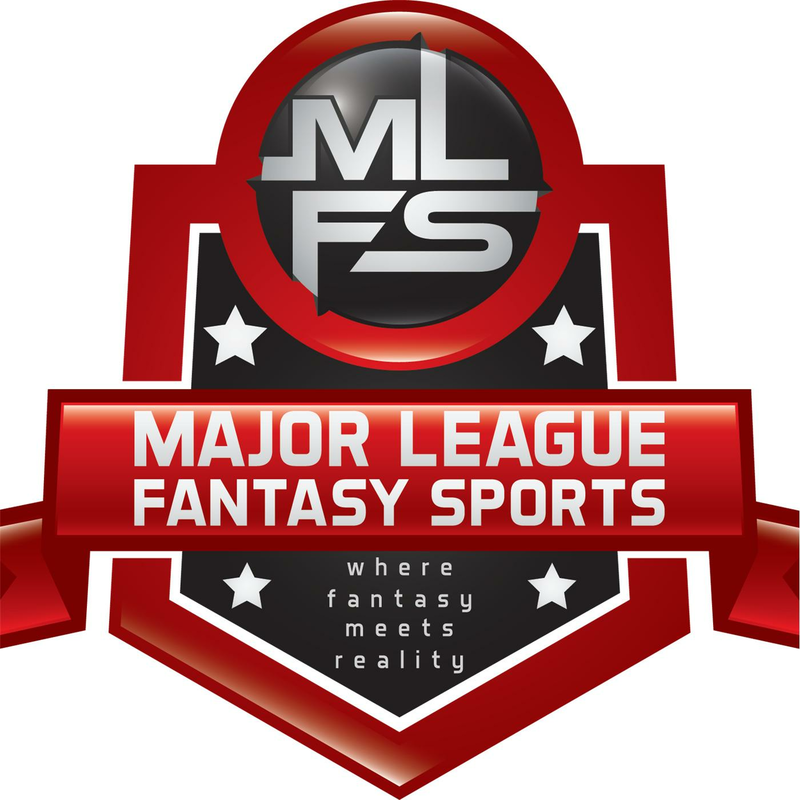 Major League Fantasy Baseball Radio Show: Join Corey D Roberts, and Kyle Amore on Thursday March 7th, 2019 from 8pm – 9:30pm EST for the Major League Fantasy Baseball Radio Show. Call in number is 323-870-4395 . Press 1 to speak with the host. You can listen live on blogtalk, majorleaguefantasysports.com, or download the podcast on I-Tunes or any Android podcast app. This week we will discuss Starting Pitching for fantasy purposes. Major League Fantasy Baseball Radio Show: Join host Cole Freel live on Sunday March 10th, 2019 from 8-9:45pm EST for episode #144 of Major League Fantasy Baseball Radio. We are a live broadcast that will take callers at 323-870-4395 . Press 1 to speak with the host. You can listen live on blogtalk, majorleaguefantasysports.com, or download the podcast on I-Tunes or any Android podcast app. Our topic this week is the Outfield for fantasy purposes. I've been playing fantasy baseball for 14 years. I am also an auditor and CPA, where I analyze information on a daily basis. Combined, my passion for fantasy baseball and analytical background create a unique perspective for analyzing and writing about fantasy baseball.